This is about to change your world! Finally. Everything about your messages, now at your fingertips. For the Mac, iPad & iPhone. Management via the web. From series grouping, a powerful search engine and file storage, you will finally have a home for all your message and speaking content. It's your own personal catalogue of your sermons, messages, or services. Features like favorites, sharing and many more will make it even more personal. Trying to remember or find a previous talk? You can fully search titles, keywords, notes and many other attributes to help you find your content. You will be amazed at what you can find. Load in your photos, audio, video, documents and any other items to each entry. Matter of fact, anything that has text will become searchable as well! 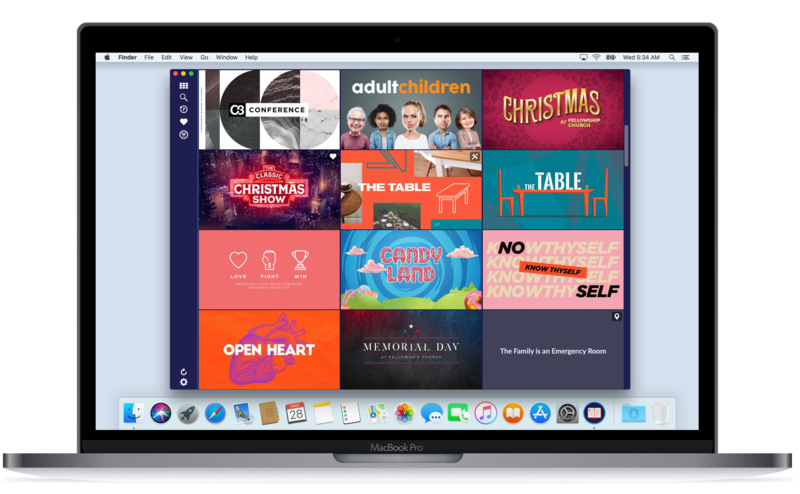 Beautiful native apps for macOS & iOS. *Requires macOS High Sierra 10.13+ or iOS 11+ for iPhone and iPad. with an intuitive web experience. 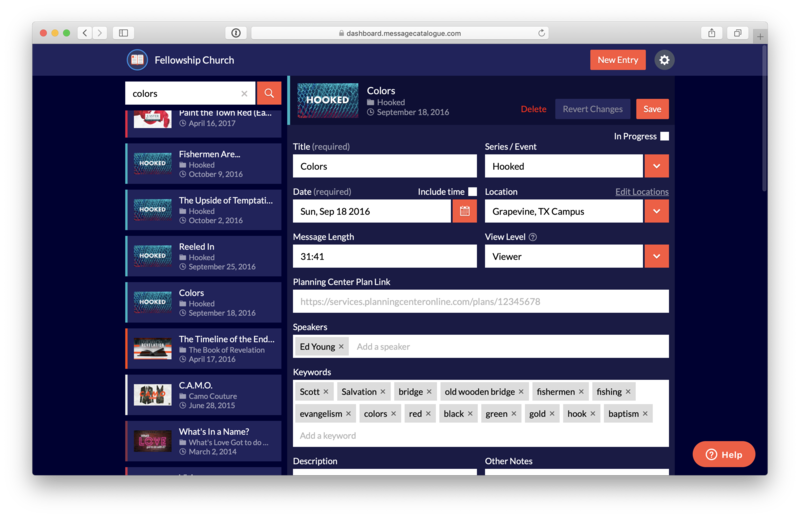 Create an account for your church or organization. Add your first message entry on the web dashboard. Get the apps and enjoy! *User management requires a paid plan. Start building your library today! Questions, Comments? Shoot us a note below.